« Players have a right to dive? This week has been dominated by speculation as to whether an understated, softly spoken, Spaniard will remain in London or, take trip up the M6 to Manchester. With the signing of Mohamed Salah by Chelsea announced the Mata move is looking more and more certain, teams of journalists are parked outside Trafford training centre awaiting the arrival of United’s saviour. The expected transfer fee is expected to be around £37 million a transfer record for the red devils, with this in mind one has to wonder who is really getting the best out of this deal? In the case of Juan Mata it is simple, he clearly isn’t part of the Mourinho master plan. Players with the ability of Mata are not bench warmers, anyone that enjoys football wants to see him lighting up matches, sat just behind the strikers feeding them chances that you and I could probably score, he even got Torres goals! There is a World Cup coming up in the summer and if Mata wants any chance of being selected he needs games, there’s no space as it is in the Spanish team, they will only take those that are in form and more importantly playing regular football. It is no surprise that Mata will be departing form Stamford Bridge, he has been influential in most of their successes since his arrival in 2011 but it appears the Chelsea style he helped shape has now evolved beyond him. With risk of reaping the wrath of the Chelsea contingent I think this is a good move from Chelsea. 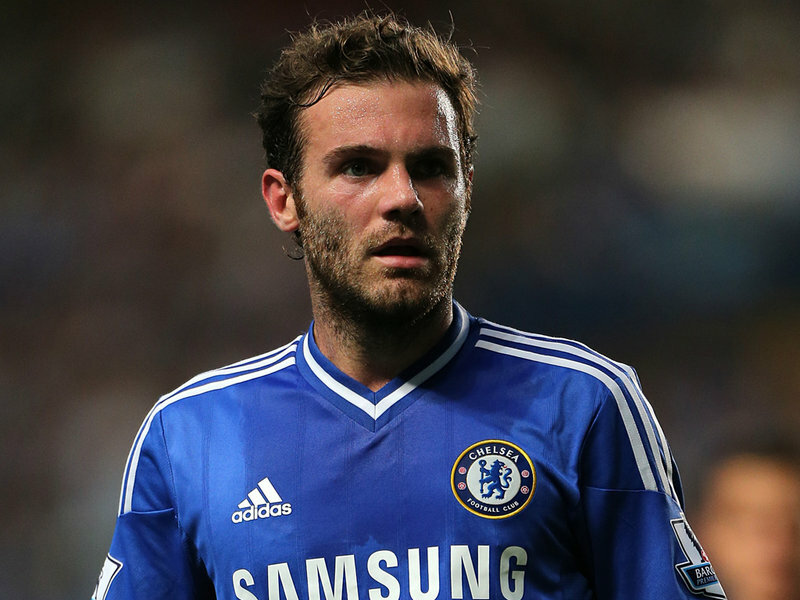 Mourinho has made it clear that Mata’s talent in going forward is counter–balanced by defensive frailties. Mata in past Chelsea carnations has been deployed in a free role able to roam the pitch as he likes, this is not the Mourinho philosophy. This seasons Chelsea are a rigid, disciplined unit, with a midfield full of character, flair and world class talent. This is a great achievement by the special one, he has drilled defensive responsibility into the previously solely offensive . If we look at Oscar, who in my opinion has been Chelsea’s player of the season, he may not be the biggest or the strongest in the game but whenever his team lose possession he hunts the ball down with all the grit and determination of a baby faced, Brazilian, Jack Russell Terrier, pressing the opposition and consistently tracking back . This is something Mata just isn’t physical enough to do, he may be brilliant on the ball but too many times has he been brushed off by a heavy handed, flat footed centre back. Further to this, there has been much talk around Chelsea reverting back to the tried and tested 4-3-3 formation, the signing of winger Salah would suggest this is an accurate assumption, if this is to be true where would Mata fit in? Mata may have quick feet with the ball but his actual sprint speed is eclipsed by that of Hazard and Willian, he wouldn’t cope on the wing. That’s him out of the 3 up front, what about the midfield 3? As just stated he doesn’t have the physical or defensive attributes to please Mourinho in the current formation making the likelihood of him making it into a less compact midfield even more unlikely. The Chelsea board appear to be looking to the future with this sale as well as the two signings, which will be more than covered by the sale of Mata. If you were to press me to guess the Chelsea formation next season it would be a 4-3-3 with Ramires, Oscar and Matic in the midfield with Hazard, Willian and Torres/Lukaku up front. That’s purely speculation though. It’s no secret that United are going through a rough patch. Sitting 7th in the league, 14 points off of the top and 6 points behind a place in the Champions league, something needs to be done. Moyes’ summer appointments just have not cut it, Fellaini (although currently injured) in his time at Old Trafford has been nothing short of dismal and the team appear to be lacking in creativity. If we are to take the game against Chelsea last Sunday as an example, they had absolutely nothing on offer in the way of creativity apart from a 19 year old boy, Januzaj could be a world beater but is surely too young to be burdened with the responsibility of carrying a team at his age. More importantly against Chelsea there simply wasn’t a goal threat, the chances that Januzaj carved out for his team were met by mediocre attempts that honestly didn’t pose a huge threat to Cech. The team was missing their two top strikers but, they are Manchester United and that isn’t an acceptable excuse for a team that has been at the pinnacle of world club football for years. It’s been proven everywhere he goes that Mata makes goals happen, whether he scores them or creates them but more than this Mata could be the one to inject a bit of life into a flaccid United midfield. In this sense it’s a great signing for United, potentially a job saving one by Moyes? But I have to question this. United are losing games and when you’re losing what do you do? Stop conceding. At this moment in time the team, a team that won the league, appear to have lost any concept of shape. Again if we are to look at the Chelsea game, the Blues went 3 goals up without ever hitting full stride, the goals scored could have and should have all been prevented by the United team knowing their positions and sticking to them. I question whether breaking the bank to bring in a player that plays best in a free-form role is the smartest of ideas? The fans may not want to see it but, if United are to recover from this season and have a chance of the top 4 the should really be sorting out their defence and possibly bolstering that. Even if the red devils were to go for a midfielder maybe a more solid one would have been a smarter buy for example Matic. Everyone wants to see big money signings and great attacking football but is this just a panic buy by a manager that fears for his job? Mata is an incredible player there is no denying it but will he be enough to rescue Manchester United’s season or will the Glazer’s have to dig further into their sizeable pockets to bring in more talent? I think the probably will. This Post was posted in Football and tagged Chelsea, England, Football, Hazard, Issue, Manchester, Mata, Oscar, Preimiership, Sport, United, Willian. Bookmark the permalink.